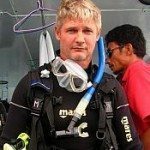 Merlin Divers Kamala Beach Phuket - Best dive shop in Phuket? The beaches of Surin, Bangtao and Patong are only 10 minutes away from the dive shop. Merlin Diversl is easy to find- just go to the beach road – called Rim Had – in Kamala. Merlin Divers offers the full range of PADI diving courses from Beginner up to Divemaster. All dive options from Phuket – day trips, overnight tours and liveaboard excursions are part of the program. The dive operator Merlin Divers is under Swiss management with Robert Klein as general manager. It shows some significance that Robert left his home for good over 20 years ago, originally for a tour around the world but instead discovered Phuket and since then has devoted himself to his passion: Diving in Thailand and Kamala, Phuket has become his home. 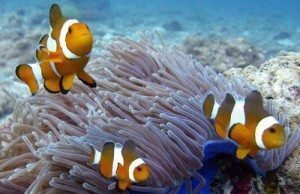 Why a diving holiday at Kamala Beach? Phuket is conveniently located for the best diving in Phuket and Thailand – all the well known dive sites and areas are relatively close – Phi Phi islands, Racha islands, the famous marine sanctuary with Phuket Shark Point, Anemone Reef and the King Cruiser Wreck. The national parks of Similan Islands and the Surin Islands are also easy to reach and therefore Kamala, Phuket is a very good starting point for diving on Phuket. Kamala is still a village. Kamala allows a diver to do what most divers dream of when thinking about diving in Thailand – dive and relax afterwards in a stress free environment. The village Kamala is surrounded by forested hills that are beautifully glowing in the sun early in the morning. Fairytale comes to mind. The beach is relatively unspoiled unlike other busy areas on Phuket- there are no high-rise buildings and no huge shopping malls. People stroll on the beach, chase the crabs and enjoy the simple pleasures of life – the small-scale shops and guest houses cater for the holiday maker in an attentive and friendly manner. And the best of all that Kamala or Bangtao Beach, Patong or Surin has to offer – we have our own local dive sites along the west coast of Phuket in front of the beaches of Bangtao, Surin and Kamala. There about 10 dive sites nearby – and visited only by a very few dive shops. The feeling of being underwater and knowing that you won’t see another diver’s bubbles is one of the most rewarding diving pleasures when diving with Merlin Divers. The convenience of just walking out of the back door of the dive shop – crossing the beach and hopping onto the dive boat is unbeatable on Phuket. Boat rides of under 30 minutes is a luxury as well on Phuket. Where else on Phuket can you get that: A dive trip which lasts 4 – 4½ hour and you will get to spend 2 hours under the water. Plus we can have a maximum of 8 customers on the boat – diving with friends – these are the personal touches that you get when you dive with us. If you have not discovered us yet it is about time. Many divers think they know Phuket and Diving inside out – but wouldn’t have a clue what and where are Tin Lizzy or Tai Pau.